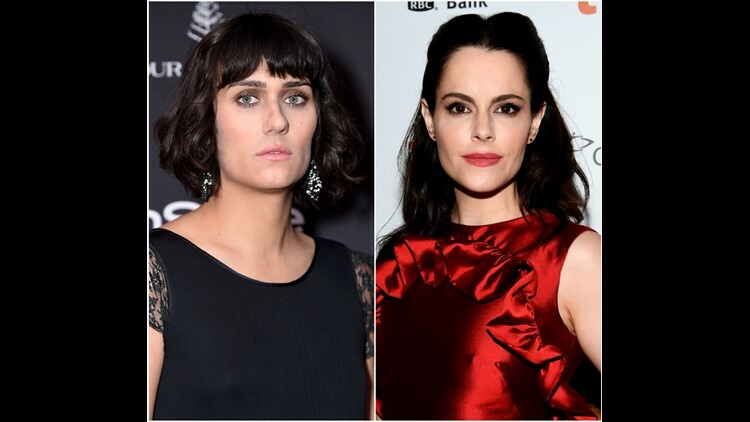 Just two months after confirming their relationship, musician Teddy Geiger and "Schitt's Creek" actress Emily Hampshire are engaged. Geiger shared the news in a series of Instagram posts Friday, the first of which featured a photo of the couple. "I love this woman so much she treats me like a lil princess and makes me laugh harder than anyone," Geiger, 30, wrote. "I am so (expletive) happy to wake up next to her every morning and fall asleep next to her every night and take care of our lil B.B. stumbs (sic) together." In a follow-up photo of herself wearing an engagement ring, Geiger wrote, "Which is why... When she asked me if I wanted to spend the rest of our lives together I said... YES YES YES YES YES YES YES YES YES YES YES YES YES INFINITE YES... I love u @emilyhampshire"
Hampshire, 37, confirmed the news on her social media accounts. "#shesaidyes ...& she cried, then she made a video, then she posted it on insta and was glad she got her nails done today," Hampshire wrote, describing Geiger's reaction to the proposal. "My millennial girlfriend is now my millennial #fiance & I feel like the luckiest girl in the world." Hampshire was previously married to Matthew Smith, a former soccer player turned agent.